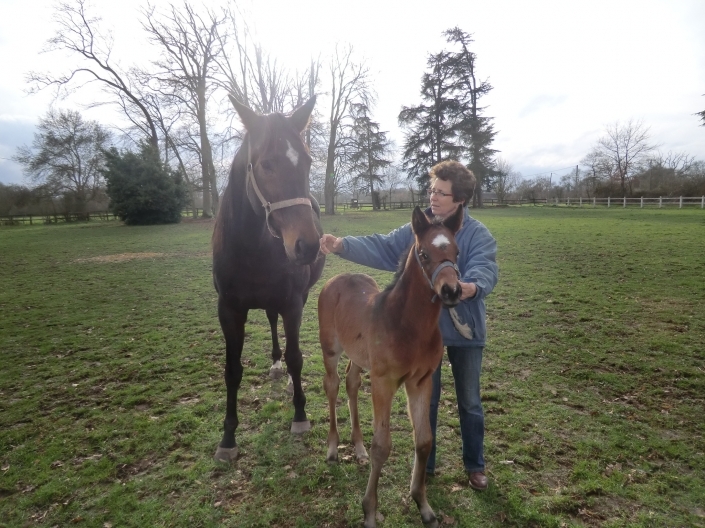 KUSEA (by Useful out of L’Allier) had a nice little colt foal by Alberto Giacometti on February 9th at Haras de la Rousselière. For the petty details of history, he was born on the birthday of his breeder , Jean Gondouin. As the names of AQPS (non-thoroughbred race-horses) born in 2011 have to start with a B, we may name him : BON ANNIVERSAIRE or BIRTHDAY!